Ready to tee off for a great cause? 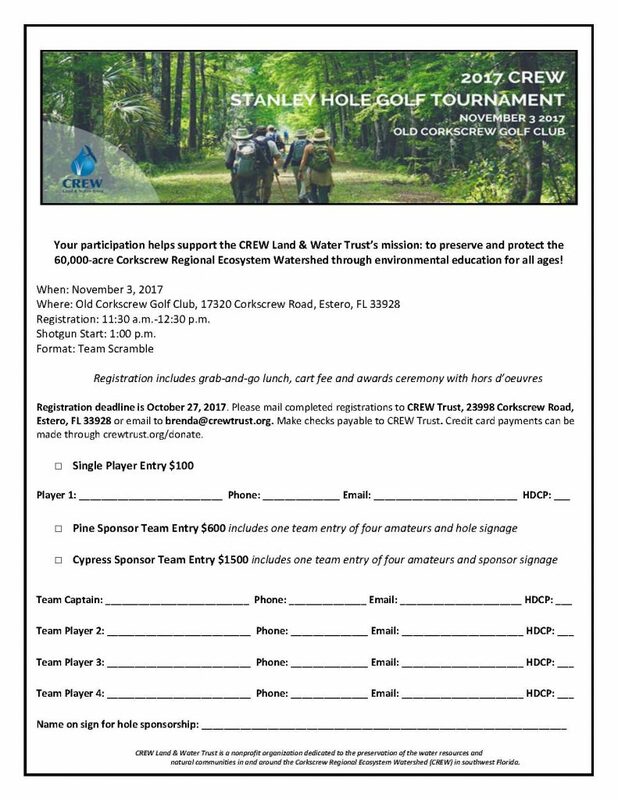 Join CREW Trus staff, members and friends at the 2017 CREW Stanley Hole Golf Tournament on November 3, 2017 at Old Corkscrew Golf Club in Estero. The CREW Trust hosts two fundraisers each year and our golf tournament continues to grow in popularity. This year team names are returning, like Team Rattlesnake, and additional sponsorship opportunities are availalbe for those that would like to support the fundraiser but are unable to participate in the event. Single player registration is $100 and Hole Sponsors/Team Entry registration starts at $600. Registratoin deadline is October 27, 2017. 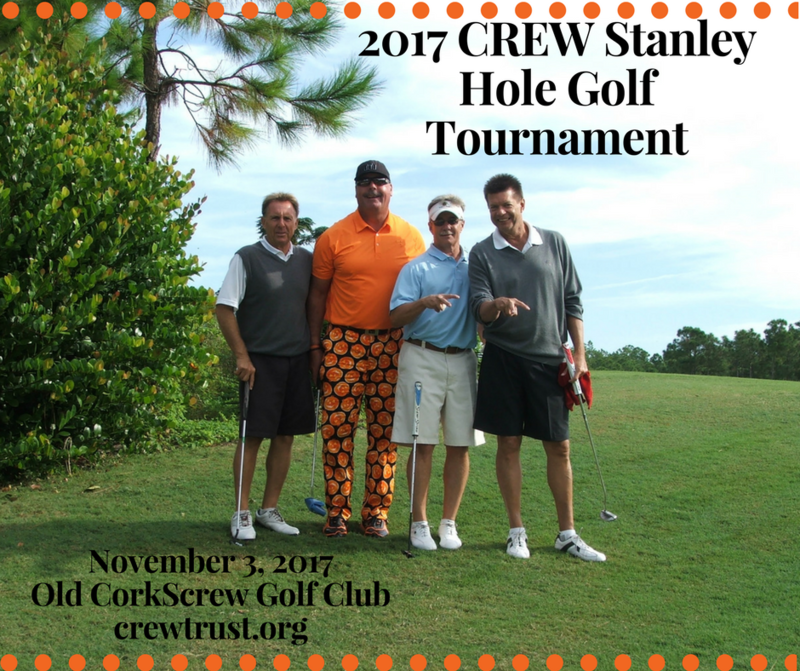 You can download registration and sponsorship forms on the event’s website (crewtrust.org/2017-crew-stanley-hole-golf-tournament/) and stay up-to-date through the event’s Facebook page.